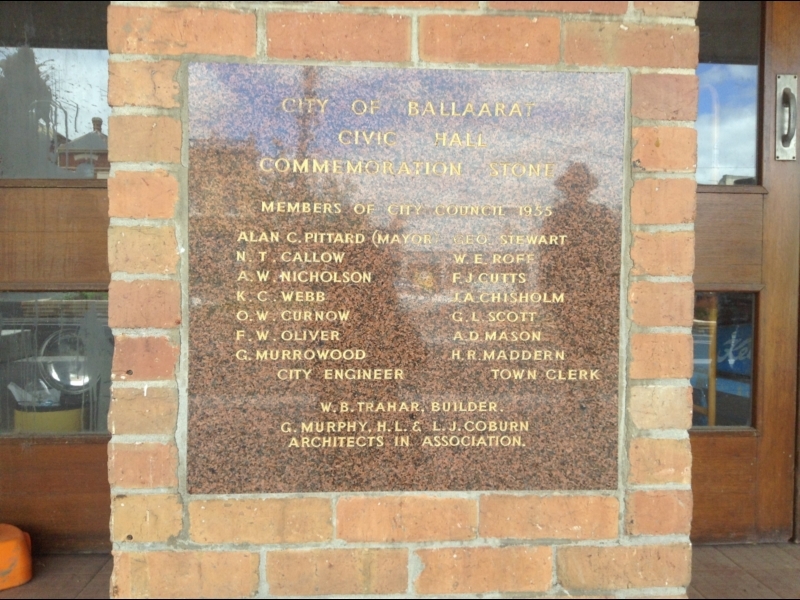 Introduces Ballarat's Civic Hall and some related sites. 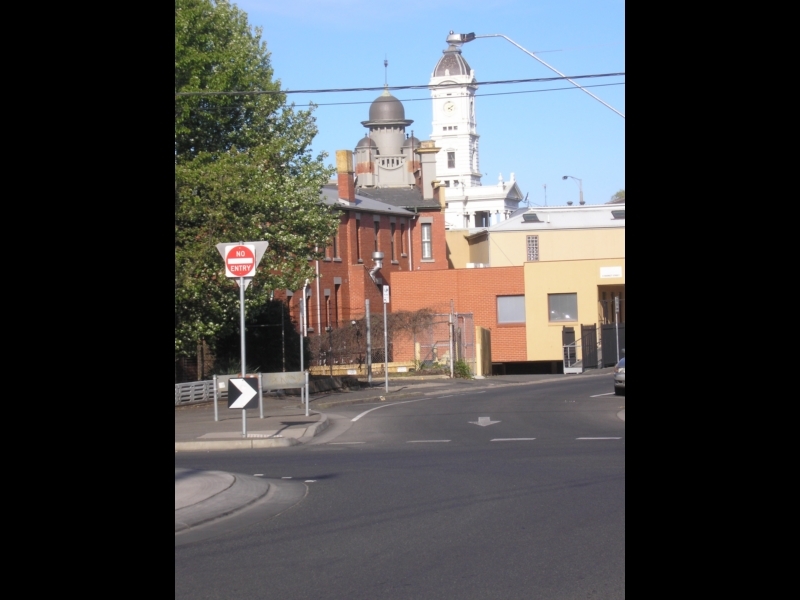 Provides an introduction to the Civic Hall and some related sites in Ballarat's Arts & Heritage Precinct. (January 2018 update of an earlier walk). 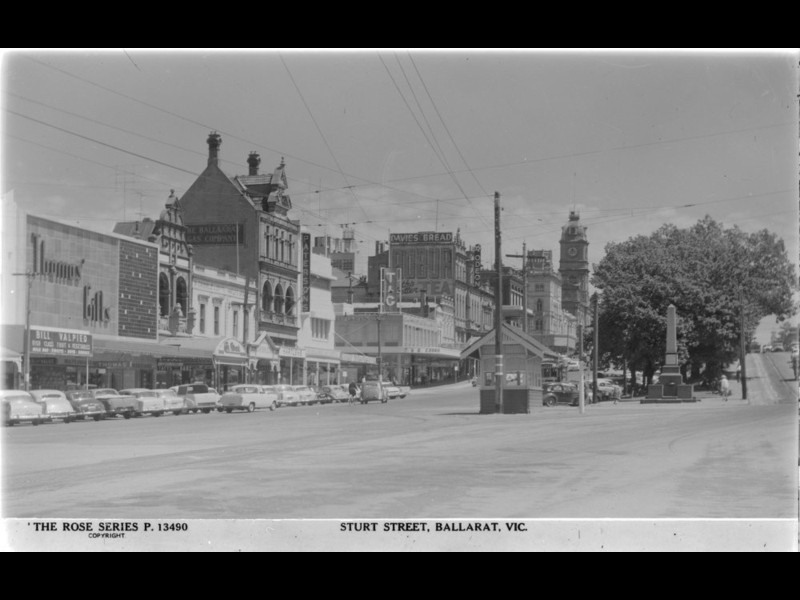 Images 1, 2, 14 (John T. Collins), 16, 17, 18, 20 (John T. Collins) State Library of Victoria. Image 15 Judith Buchanan. Multi-purpose venue, with monumental presence. Steel frame, local Selkirks bricks. Main Hall holds c. 1600, Site of many balls, concerts, events. Closed 2002, Various development plans since. 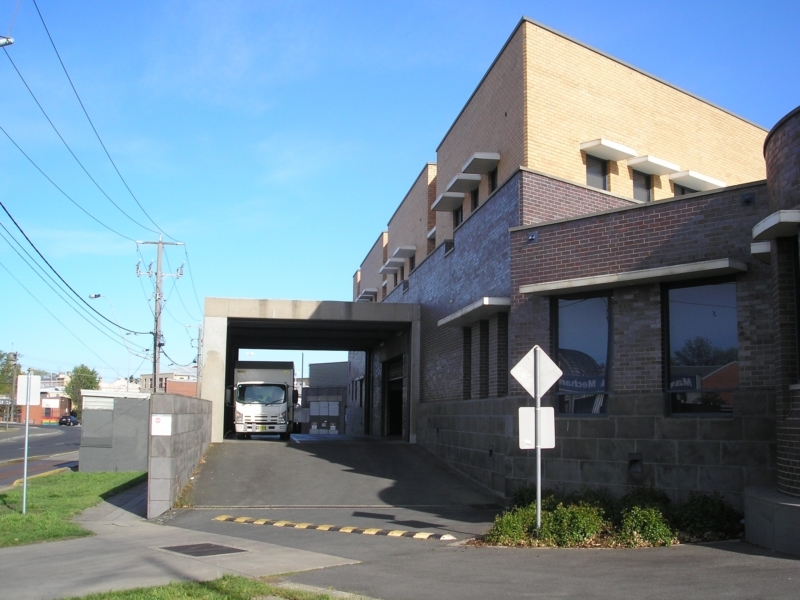 The foundation stone to the left of the entrance records that the architects in association were Gordon Murphy (Melbourne theatre specialist) and HL & LJ Coburn (Ballarat father and son). Statue added in 1960 depicts Shakespeare receiving applause after a performance. 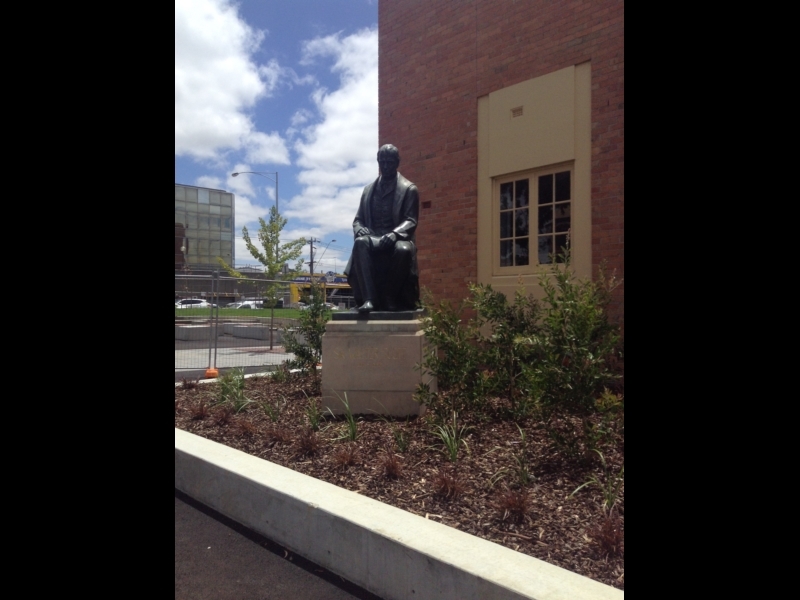 Hungarian visitor Karoly Nagy was so impressed he organised a replica for Budapest unveiled 2003. 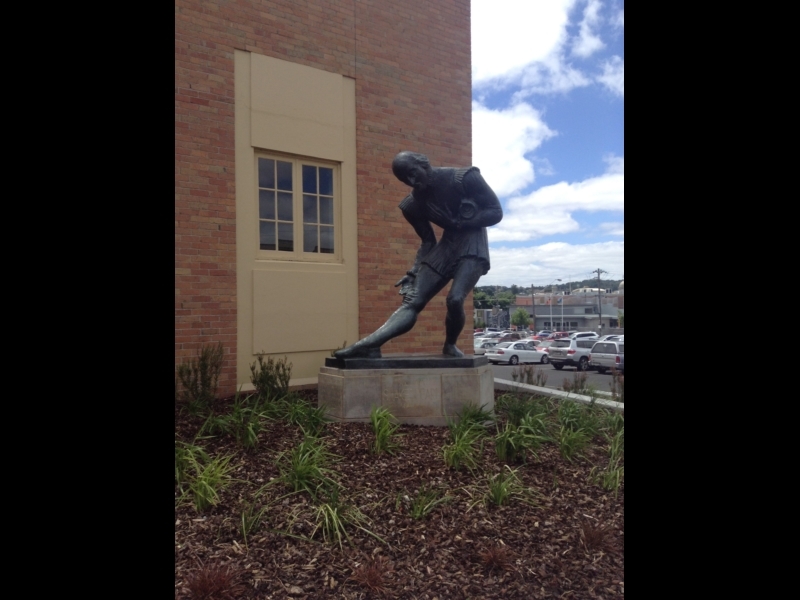 The Centenary of Gold celebrations in the early 1950s gave a renewed push to plans for a new Civic Hall so it is fitting that plinths of both Scott & Shakespeare statues record Gold Rush links. 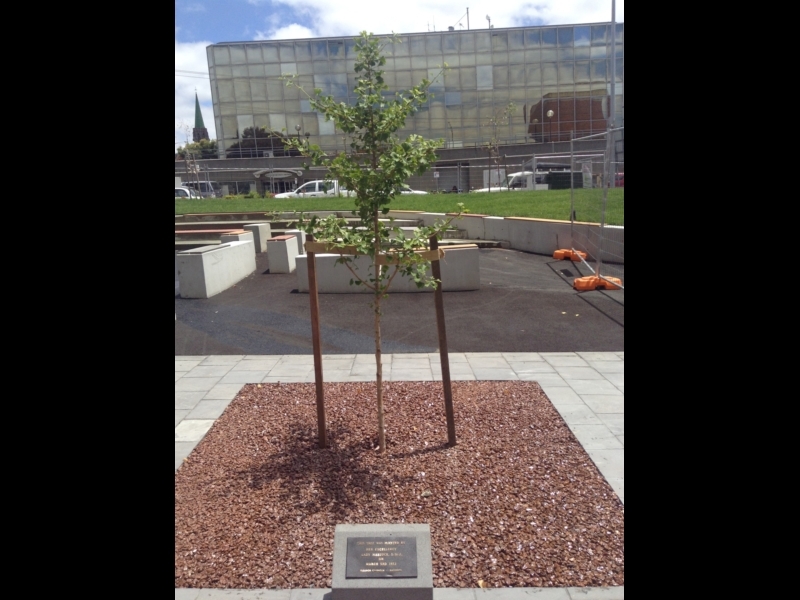 The trees are of the ancient Ginkgo biloba species. One was moved, another replaced during 2017 landscaping works. The architects made clever use of the fall of the ground to build the foyer of the Lower Hall under the stage of the Main Hall. The Lower Hall provided spaces to complement those of Main Hall. 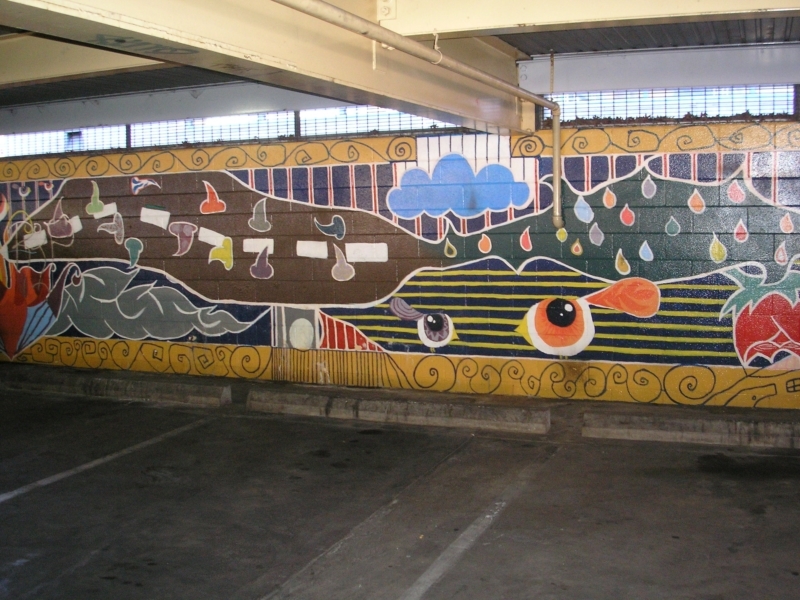 A colourful public art mural created on the back wall of the carpark. The mural was painted in 2013 by local youth working alongside professional artist Pauline O'Shannessy-Dowling. 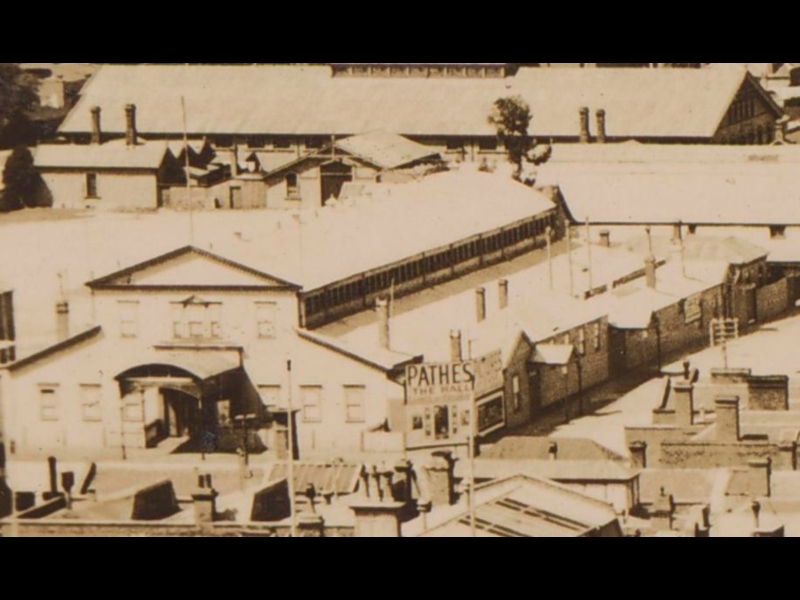 The proximity to the Provincial Hotel and Ballarat Railway Station beyond it is evident from this corner of the site. 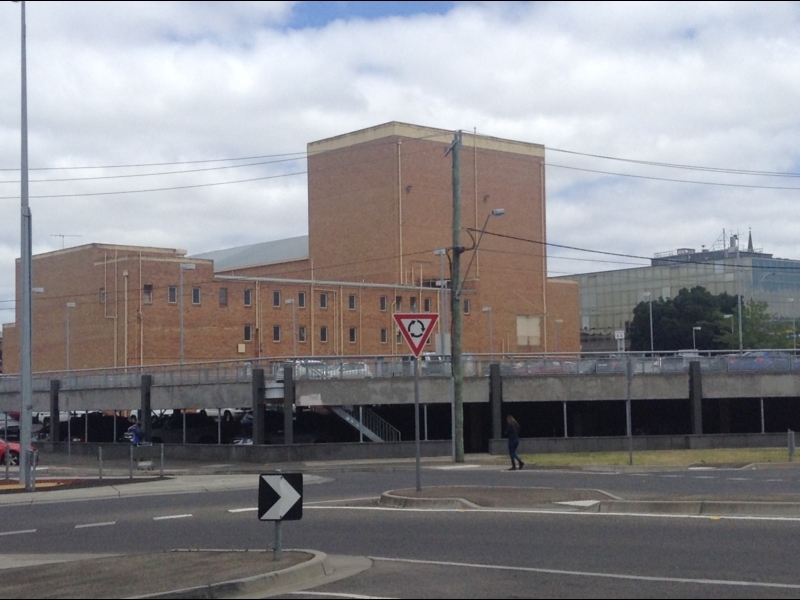 The eastern side of the hall is earkmarked for a major government office building (GovHub) which will see the removal of much of the Lower Hall, the above ground carpark and 1990s skate park. 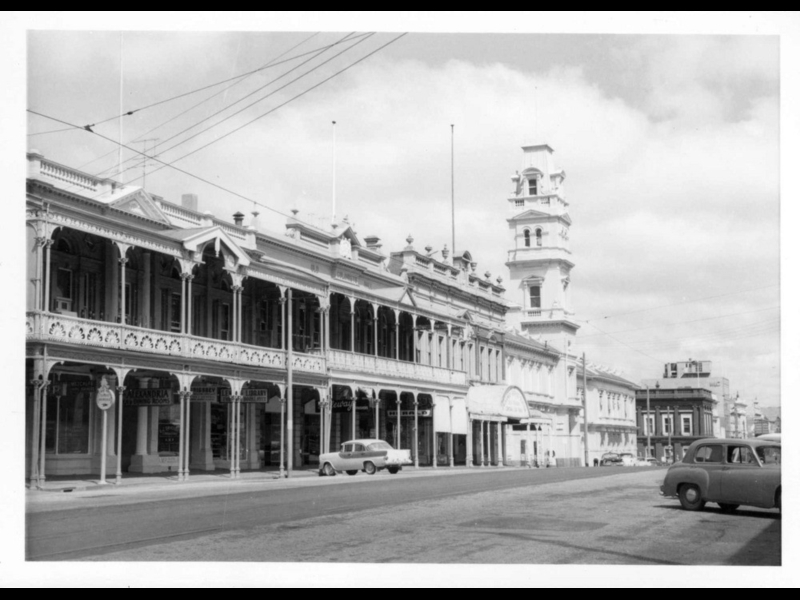 This block is now one of the most treasured in Ballarat encompassing Victorian era architectural gems. 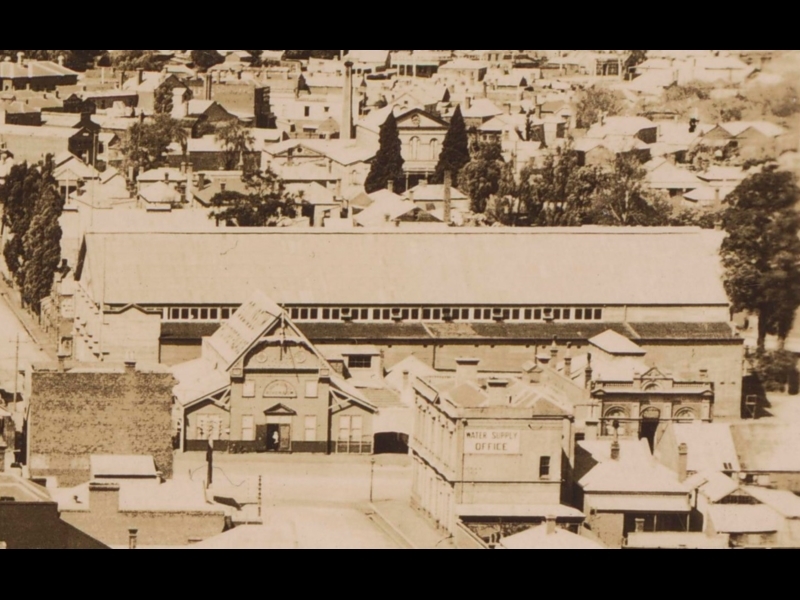 However records show that in the 1940s this was one precinct considered for the new civic hall. 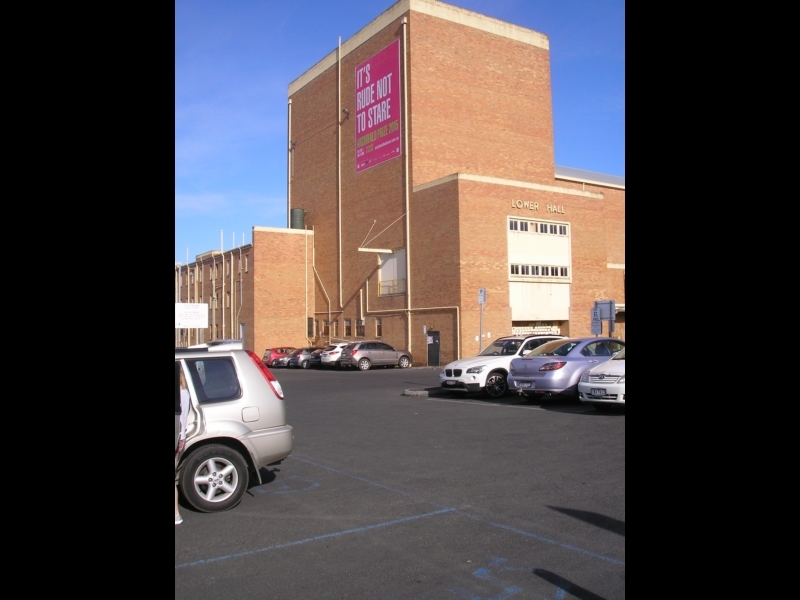 Civic Hall architect HL Coburn was well known in Western Victoria for his commercial, residential and civic work. 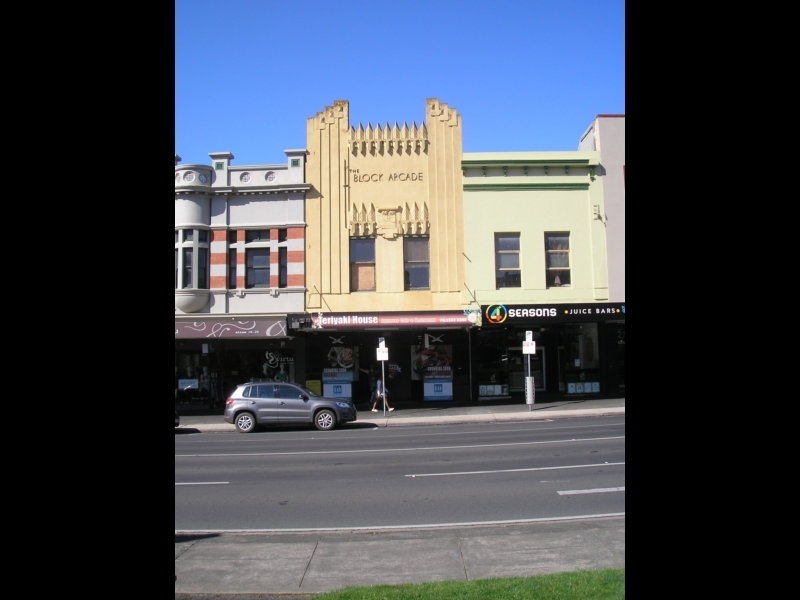 He remodelled the facade of this Victorian building in an art deco style in 1947. 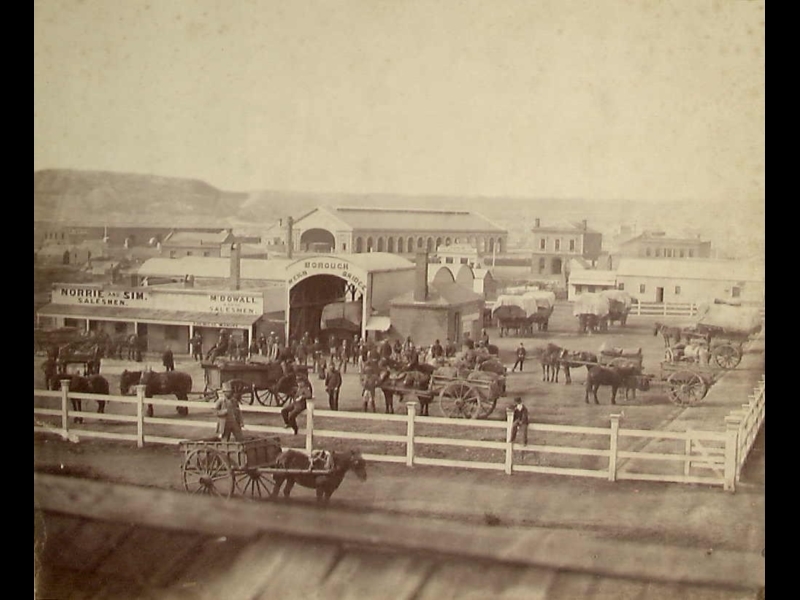 Site of a predecessor of the Civic Hall, constructed in 1867 on the boundaries of East & West Ballarat for Ballarat's first royal visitor and formally closed on the day the Civic Hall opened. 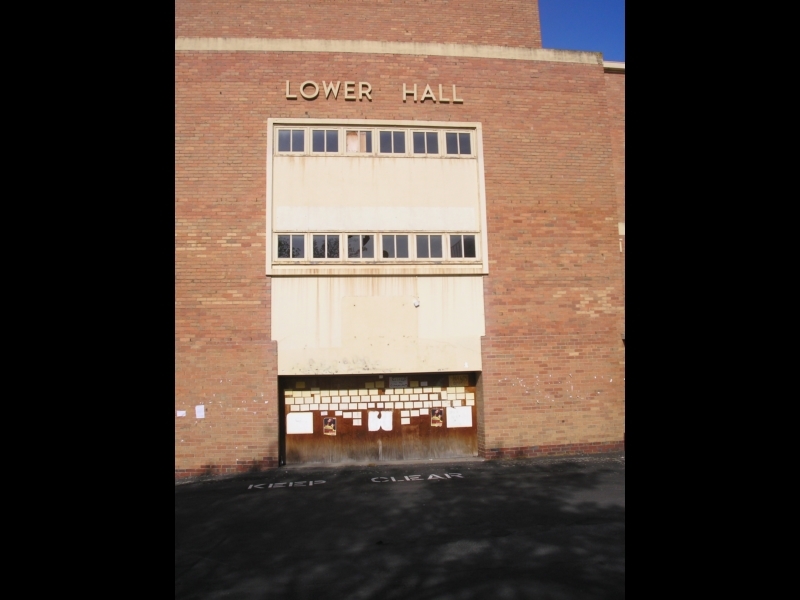 Another very large hall (capacity up to 10,000) owned by the South Street Society and used for social & civic events. 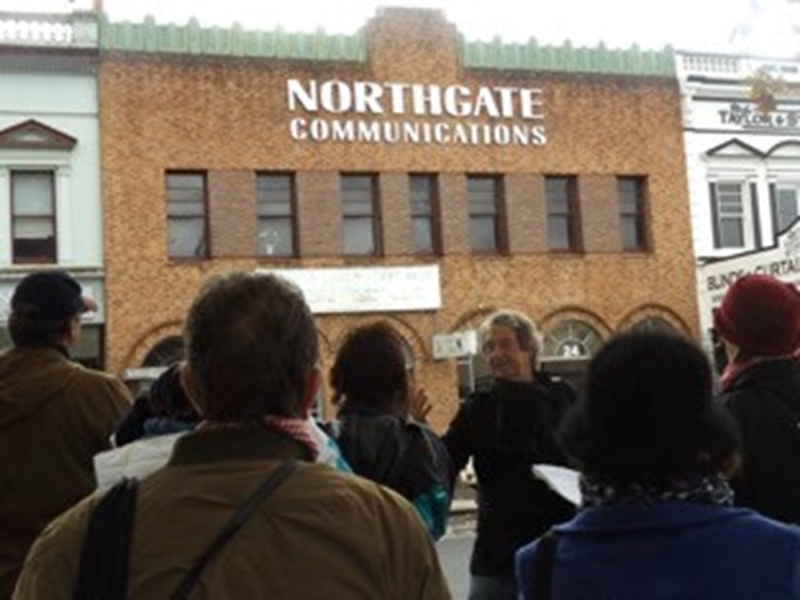 It burnt down in 1936 providing impetus for the building of a new public hall. 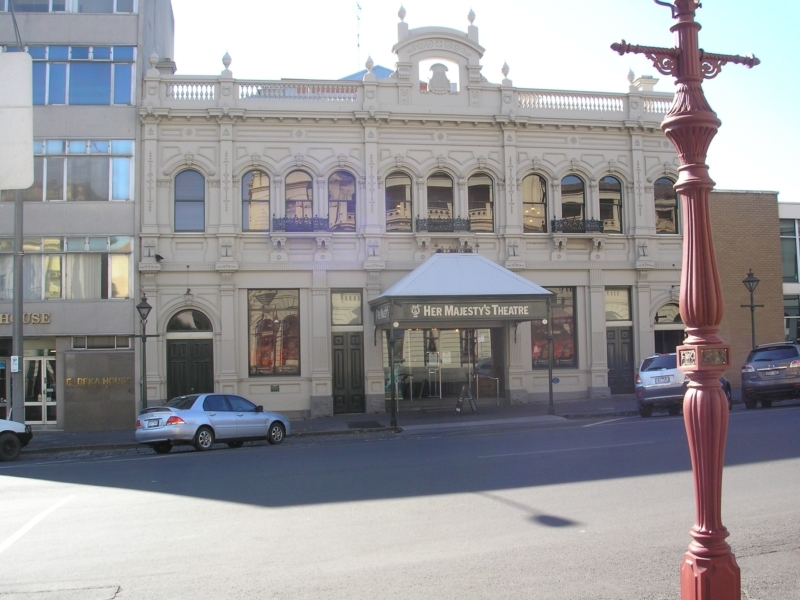 Historic theatre first opened in 1875. 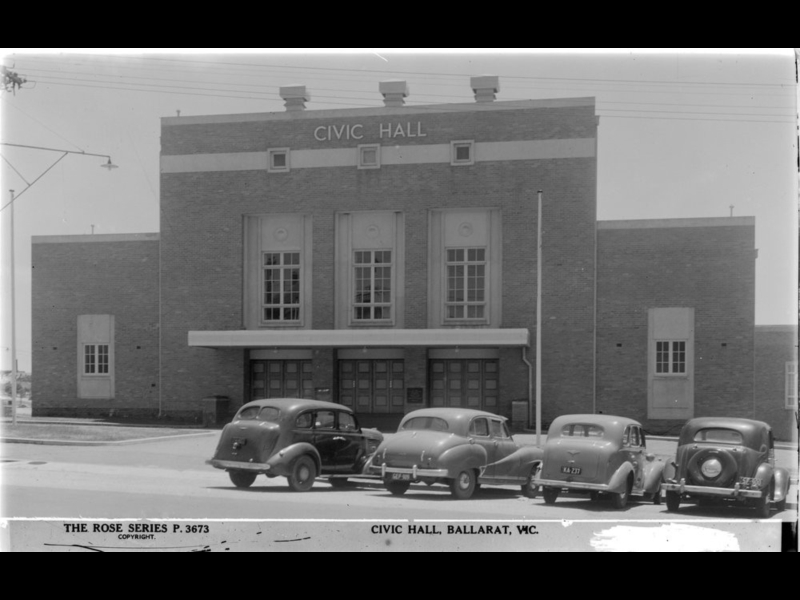 The history of the Civic Hall intersected with that of "Her Maj" from 1990 - 2002 as the City of Ballarat combined management of the two facilities. 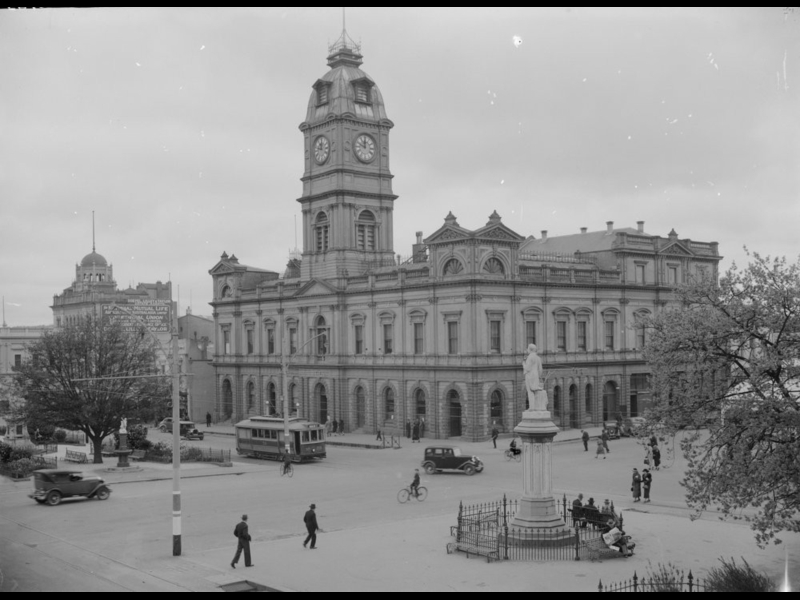 At one stage there were plans to extend the historic Ballarat Town Hall to accommodate a new Civic Hall. 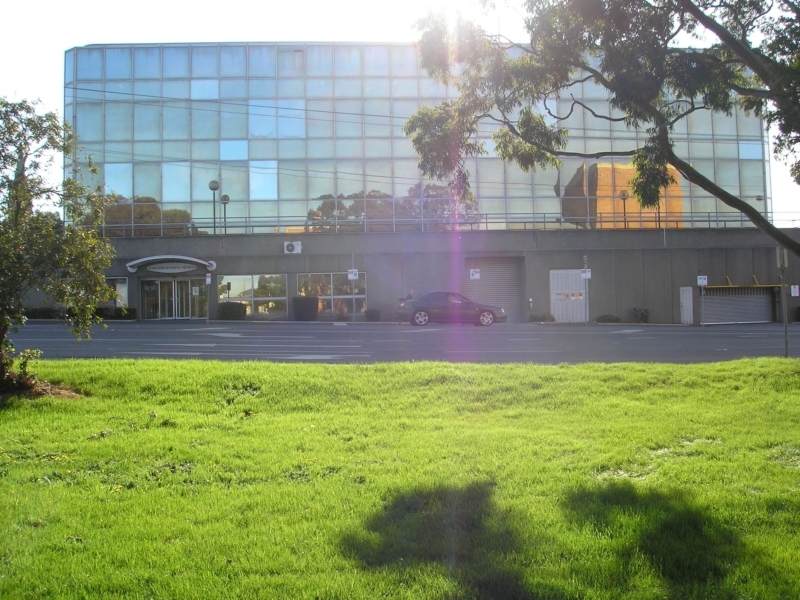 The eventual Civic Hall design was innovative in separating hall facilities/Council offices. 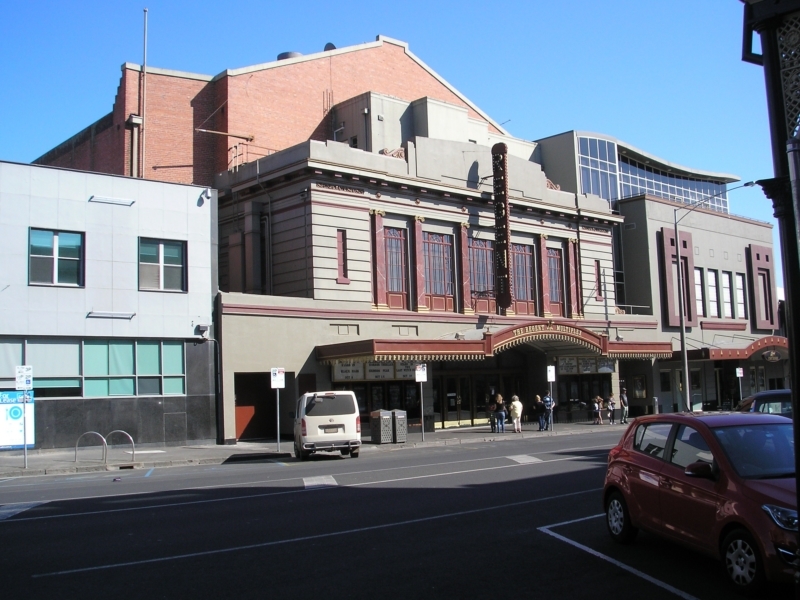 The Sturt Street entrance was remodelled by HL Coburn in 1937. Look up to the first floor to get the best view of this work, the stylised parapet and lettering.